Vitamin D deficiency is becoming a widespread health concern in America. According to a 2009 report published in the "Archives of Internal Medicine," 77 percent of Americans are estimated to be vitamin D-deficient. Because of this, many Americans are turning to vitamin D supplements. Vitamin D can be supplemented in a variety of ways including traditional vitamin D supplements and through cod liver oil or cod liver oil capsules. While vitamin D itself is not a natural blood thinner, cod liver oil has shown anticoagulant properties, and it can thin the blood. Vitamin D is a fat-soluble nutrient that your body can make through your skin's exposure to the ultraviolet B rays of the sun. Vitamin D is also acquired through fortified milk and oily fish such as salmon in the diet. Vitamin D is essential for bone growth and health and works to regulate the level of calcium in your body. The Institute of Medicine's Food and Nutrition Board recommends a daily allowance of 600 international units for adults under 70, and 800 IU for adults 71 and older. Cod liver oil, either in natural form or in capsule supplements, is made from the oil of codfish and is very high in vitamin D. It is high in omega-3 fatty acids and used to treat a wide variety of medical conditions including coronary artery disease and high cholesterol. Cod liver oil often comes with small amounts of vitamin E, added to keep it from spoiling. Both omega-3 fatty acids and vitamin E are known to act as natural blood thinners that affect the coagulation rate of your blood. A 2009 study published in "Physiological Research" looked at the effects on omega-3 fatty acids on the risk of cardiovascular disease. It showed that these fatty acids have a positive effect on coagulation and platelet function in connection with the reduction of blood clot formation; thus, it works as a natural blood thinner. A 1995 study published in "Lipids" showed similar results on the effects of cod liver oil and the reduction of blood coagulation times. If you are vitamin D-deficient and have been told by your doctor to take vitamin D supplements, you should also discuss with him which type of supplements are best for you. 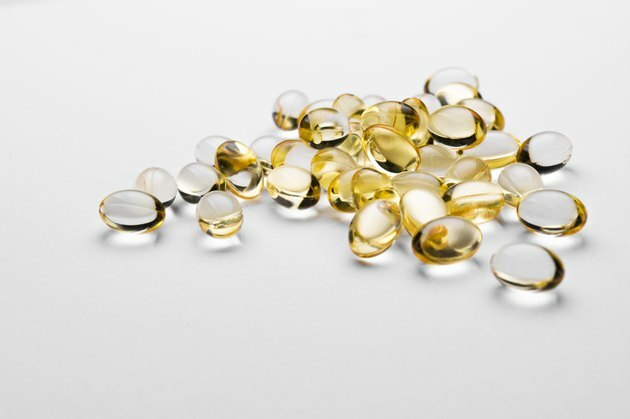 If you are also taking medications like Coumadin to thin your blood, you should not be taking cod liver oil as a vitamin D supplement, because it can increase your risk for bruising and bleeding. If your doctor determines you are vitamin D-deficient, make sure he is aware of all your medical conditions and medications before creating a supplemental program for you.